Following up the post on eclipse prediction and Stonehenge yesterday, Stuart ‘oldbrew’ flagged up this unpublished paper by Richard Heath and Robin Heath he found on the wayback machine. This raises very interesting questions about the precession of the equinox and the rate of Earth’s rotation. This document was prepared by Richard Heath as a letter for Nature magazine and submitted on 14th April 1994 but remained unpublished. For readers of the Matrix of Creation (2nd ed, Inner Traditions Press, 2004) it marks the discovery of a unit of time proposed and named the Chronon, as being 1/10000th of the Moon’s orbit and also the difference between the sidereal and tropical day of the Earth. The paper also documents a discovery made, with Robin Heath, later to be documented in his books: that one can divide up the solar year by its excess over the eclipse year to reveal an 18.618:19.618 ratio between these years, and many other interesting numerical facts not mentioned in this place. The puzzle here is a connection between the rotation of the Earth, the solar year and the precession of the Moon’s orbit which (a) may be explainable by science (b) appears to have puzzled Megalithic astronomers and (c) should puzzle us today. We find that the Earth’s rotational day divides the year according to the 18.62 year cycle of the Lunar Nodes. 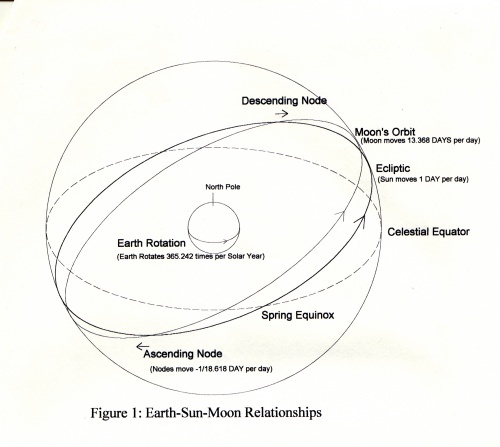 From this we conclude that the Earth’s orbit, the Moon’s orbital precession and the Earth’s rotational velocity are most probably interconnected. The tropical solar year in days is factorised almost exactly by 18.618 times 19.618 and the Moon travels one ten thousandth of its orbit in the time difference between sidereal and tropical days. We have been considering a range of numerical coincidences present in arithmetical and geometrical analyses of astronomical cycles involving the Sun-Moon-Earth system. There is an apparently lawful relationship concerning the Earth, Sun and Moon, one that is most unusual. The Earth ‘s rate of rotation is directly proportional to the ratio of angular velocities of the Sun and the Moon ~ orbital nodes; as seen from Earth. The reason why this fact has been hidden is that we use the day or the degree to manipulate the data concerning these phenomena and since the day is implicated in the above law it obscures the relationship and the degree changes the numbers to further obscure it. We now refer to the angle traveled by the sun on the ecliptic in one day as a DAY. If we convert the Moon’s average daily motion of 13.176 degrees per day to DAYs per day we obtain 13.368 DAYS per day. This is the sidereal frequency per year because DAYS per day is also revolutions per year. This shows the virtue of using DAYS over degrees. As there is not a great deal of familiarity with the terms used in describing Sun and Moon phenomena, we will recap some terms (see Figure 1). The Moon crosses the Sun‘s path or ecliptic at two places, the lunar nodes. Full or new moons occuring near a node produce solar or lunar eclipse respectively. Whilst the Sun moves East day by day by about one degree, it precesses the Lunar Nodes in the opposite sense, i.e. retrograde. The Sun moves about 18.618 times faster than the precessing nodes. Whilst the Sun returns to the same place on the ecliptic after one Solar Year, it will return to a given node after a shorter period an Eclipse Year. In Earth days, a Solar Year is 365.242 units long whilst an Eclipse year is 346.620 units long. The ratio of 1:-18.618 between the angular velocity of the Sun and the Nodes means that after 18.618 solar years, the Nodes will return to the same part of the sky, a period called the Draconic Period. This means that after 1 solar year, the nodes have traveled by 1 /18.618 of the ecliptic. During 18.618 solar years there are 18.618 + 1 eclipse years, the + 1 being due to the complete revolution of the nodes in that period. Because there are 19.618 eclipse years in a Draconic Period, then the nodes must move by 1 /19.618 of the ecliptic in an eclipse year, i.e. before the Sun again meets a given Node. When we draw the ecliptic geocentrically as a circle and place a Sun-Node conjunction at the “top”, then the eclipse and solar year node movements can be shown as in Figure 2. 18.618 x 19.618 or 1 /365.248 of a solar year! The solar year, in days, has the two factors 19.618 and 18.618 and both these numbers are generated by the Moon ‘s nodal motion with respect to the Sun. The Earth’s rotation is the lowest common denominator in the numerosity generated and thus calibrates the cycles involved. Because of the 18.618 ratio between Sun and Nodal motion, there must be 18.618 days difference between the eclipse and solar years. What also has to be true is that the eclipse year is (1 8.618)2 days long or 346.63 days, which is close to the 346.62 days given [Astrophysical Quantities, C.W. Allen, 1973]. 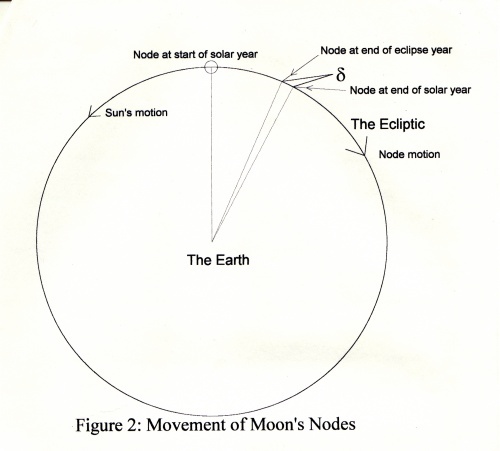 We have come to refer to 18.618 days as a NODE DAY, the time it takes the nodes to move by one DAY on the ecliptic and a fundamental constant in Sun-Earth-Moon astronomy. The Earth ‘s rate of rotation is directly proportional to the ratio of angular velocities of the Sun and the Moon ‘s orbital nodes; as seen from Earth. The Earth rotates once, with respect to the Sun, in the time it takes the Sun, seen from Earth, to move by the amount the Lunar Nodes move in the excess of the solar year over the eclipse year. We found another calibrating factor when we moved to DAYs instead of degrees. When we divided 13.176 degrees per day by 360 degrees, we obtained the fraction of a lunar orbit per tropical day. The value is 0.0366009. The same calculation for the sidereal day yields 0.0365009, and both happen to be the number of days in a year of the other type of day, in 1 /10000ths of a complete lunar orbit. The sidereal day is 365 1/10000ths and the tropical day is 366 1/10000ths of a lunar orbit: the difference between the two is a calibration unit of 1 /10000th. The Moon moves 1/10000th of its orbit in the time between one sidereal day and one tropical day. There are 365 such periods in a sidereal day and 366 in a tropical day. The present understanding of the Earth-Moon system does not account for either of the above calibration effects. Perhaps the ancient astronomers in North East Scotland who built recumbent stone circles knew something we are not aware of. If you compare tropical and draconic years a ratio of 18.613 to 19.613 appears. The Heaths claim a ‘discovery’ but what about the well-known 18.613:19.613 ratio? Hi Paul. Is this is already in the literature? Have you explicitly demonstrated it here before? Or somewhere else? If Earth’s rotation rate and equinoctal precession rate is determined by its Moon, then what determines the rotation rate of the other planets? TB: I assume PV was referring to the lunar declination cycle. Me? No, this dates back to the nineteenth century if Fairbridge was correct in assigning credit to Helmholz for the simple proof (anyone could have discovered it and lots of people surely have easily rediscovered and surely will easily rediscover it independently — after all it’s just the intersection of 2 straight lines). The difference of 1 is by definition. The beat formula solves for exactly that by definition. That’s what it was designed to do and that’s what it does. This same thing came up near the end of the lunisolar aliasing workshop. I pointed OB to Helmholz then, but I now realize it may have been overlooked then what I meant. The important thing here isn’t whether Helmholz was first in the nineteenth century. The important thing is that people can independently recognize &/or derive a trivial geometric proof from the intersection of 2 straight lines. This makes knowledge maintenance robust. Math is a big world. It’s easy to overlook even the most trivially-simple corners of it. It’s humbling. Find the beat of any 2 numbers and then divide the beat by each of the numbers. By definition it is so. Interesting article, but the use of DAY and day is distracting and I keep thinking I need to track what case the same (but different…) thing is in. Would be better to use a different term for one of them as “a day” already has a definition and CAPSing it doesn’t change that in most folks brains. so why is the circumference in “feet” and exact multiple of the year length? Hmmm…. Maybe it’s a clue. Maybe not. EM: Thanks for that. A neat solution to the megalithic yard puzzle was suggested some years ago. The puzzle is how close the megalithic yard is to being the same over a wide geographical area from southern Spain to Norwy, from Ireland to the Russian steppe. Did the ancients really have a standards organisation with Druids travelling around with bronze tipped standard length rods? The solution goes something like this (memory is hazy). If you tie a rock onto a piece of string and swing it as a pendulum, putting in just enough energy to keep the swing even, then if your piece of string is just the right length (1/2 a megalithic yard), you will get 360 swings in the time it takes for a star to transit across the tops of two sticks placed 1 degree apart from the POV of the observer. If this is how they did it, we should give the ancients some credit for reconciling time, space, gravity and angular velocity. As I recall, the authors did show how this also related to the circumference of the Earth, so maybe there’s something in your calc. Alexander Thom reckoned the megalithic yard was 2.72 feet. Thom was the professor featured in this documentary that Adrian Kerton linked to on the Stonehenge thread. The 18.613:19.613 comments fall short of revealing what remains a mysterious coincidence. What is not being addressed by some commentators on this link is the way the fundamental time constants of the sun and moon are very closely linked through the lunar nodal period. Some other works published by my brother Richard and myself expand on this point in more detail. At the time we submitted a paper to the Royal Astronomical Journal (To a Dr R C Smith, ref QT26) but it met with a frosty response! Robin H: Thanks for dropping by here, and welcome to the talkshop. Frosty responses are the stock-in-trade of dusty academics who fear you have more insight than they. Please consider submitting your papers to Pattern Recognition in Physics – the journal for science the gatekeepers of academia don’t want in print. Our special edition may interest you. Please keep an eye on this thread, I have hopes it may develop further now you have joined in. 18.618 Chandler wobbles would be close to a Hale cycle of 22.1 years, therefore Hale divided by lunar nodal period would be close to 1 Chandler wobble. @Robin Heath: thank you for making the very valuable Heath material available on the internet, it’s indispensable for naked eye observers! I did not invent the nn, instead I took them from finds in the archaeological record. @oldbrew, except in simulations and pal reviewed papers, has anybody actually observed lunar tidal maxima, I mean where is this record with dates, stations, sensors, and all such? @Chaeremon: I think they just mean once every 18.6 years? 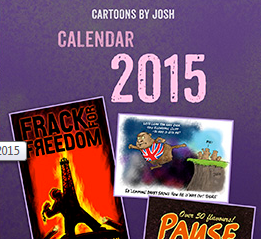 @oldbrew (January 15, 2015 at 5:08 pm): sure, and, have we seen such data record? What do they (whoever) measure every 18.6 years, have we seen their warnings, etc? I’m under the impression that the lunar tidal maxima occurrences, whatever their measure of phenomena, is not pulled together (documented) anywhere. We b.t.w. do not talk about the unpredictable thunderstorm of next year, but instead about physically hard cycles. I want to see at least the month of occurrence (maybe also location). @oldbrew, observation is the same as locality of occurrence? [/grin] Einstein didn’t like this implication of Newton theory and invented … you know what (but only for light which nobody was able to observe at its local origin). So, if lunar tidal maxima happen, they occur in geocentric relation like eclipses and oceanic tidal amplitude, that’s what I mean. ‘the draconic or nodal period of lunar precession, that is the period of a complete revolution of the Moon’s ascending node around the ecliptic: 18.612815932 Julian years (6798.331019 days; at the epoch J2000.0)’. IIRC some guest author recently used 18.599~ years. 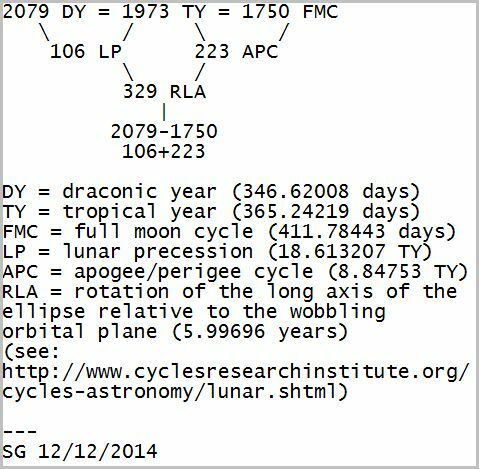 On my lunar chart post the number from 106 in 1973 tropical years would be 6798.3286 days. Now here is an interesting piece. Unfortunately, I cannot attribute any real value to the discovery. @oldbrew (January 15, 2015 at 10:39 pm): this ‘discrepancy’ is easy to resolve: start your numerical integrator (with eg. DE421 ephemeris) and obtain data points for A) +/- max inclination occurrences and B) zero inclination occurrences. I use these viewpoints A,B because they cut the orbit into roughly 4 x 90° and so random samples can be checked (at max contrast) with eg. the orrery. Then match pairs of A,B at around the ball park figure 6796 days. On average this gives 6796.25~ days temporal distance and virtually 90° diff (what a coincidence …) in the ecliptic, for the time-frame CE1500 to CE2100 (600 years). Now you can assess: how much time has to pass until 90° diff goes zero for the node’s advance. But that is near to ¼ draconic/sidereal month and not 2 days. More evidence of our ancestors cosmological knowledge is seen in the beautiful Nebra Sky Disc. It was found in Germany, and it’s about 3,600 years old. The 40 holes around its perimeter show that they knew how to map intercalcary moon phases on to solar and stellar cycles. Unlike the solar calendar, which indicates the position of the earth as it revolves around the sun, the lunar calendar is based on the phases of the moon. A lunar year is eleven days shorter than the solar year because 12 synodic months, or 12 returns of the moon to the new phase, take only 354 days. The sky disc of Nebra was used to determine if and when a thirteenth month – the so-called intercalary month – should be added to a lunar year to keep the lunar calendar in sync with the seasons. We know this because, according to Babylonian astronomical wisdom in the “Mul-Apin”, which is a collection of cuneiform texts from the 7th and 6th centuries B.C. a thirteenth month should only be added to the lunar calendar when one sees the constellation of the moon and the Pleiades exactly as they appear on the Nebra sky disc. But this disc was found in Germany, not Babylon or Egypt. Further proof , if you ask me, that this sophisticated kind of cosmological knowledge was worldwide in the Bronze Age, and not confined to the East. Ishtar: re the sky disc of Nebra – you’re describing the Jewish calendar. Yes, thank you, Oldbrew. I know. Most of the ancient calendars were based on this system, including the Babylonian which is likely where the Hebrews got it from, while in captivity there around 600 BCE. Why I posted about the Nebra Sky Disc is that it shows that our ancestors in Europe had that advanced cosmological knowledge in the Bronze Age, as Stonehenge also shows. @Ishtar Babilu Dingir: typing up other people’s alleged insight without giving credit to them, or have you found out something of this all by yourself? Quick: when was the most recent equinoctial year with 13 full-moons? Chaeremon, what’s your point? I learned about it from an astrologer friend, but it’s in my own words. Do you want me to credit him here? I don’t think people will know him. He’s just a friend of mine. Everything we know, we learned from others, wiser than us. I actually have a very great interest in this subject, and have held discussions around these subjects on my forum, Ishtar’s Gate. So I’m more than entitled to post here as I have. In fact, I think Rog found the original Robin Heath article on my forum. I should add: he told me about the 40 holes around the edge of the Nebra Sky Disk, and what they represented. But everything else I said about it is mine. Ishtar: Indeed I did find the previous Robin Heath article on your forum, thanks for posting it. Intriguingly, 33 years is the perfect day-wise repetition pattern of equinoctial years (link to Heath material recently). Also 99 lunations (33 x 3) is 8 years plus 1.5283~ days. 1.5283 d x 239 is almost exactly one year (365.2637~ days). The Venus-Earth 8 year conjunction cycle is about 4 days less than 99 lunations. @oldbrew who wrote: Also 99 lunations (33 x 3) is 8 years plus 1.5283~ days (my emphasis). You just (re-)discovered easy knowledge of naked eye observers 😎 You can add/subtract a handful of full days and still ‘land’ on a target date on which Sun\+Moon have swapped night\+day. Robust and accurate. So the Nebra disk could have been used for multiples of 33 lunations, where every 3 sets was just over 8 years. A 32 year span was probably a lifetime for most people then. Thanks, Oldbrew. Your Wiki page intro says: “The following information is derived from Encyclopædia Britannica, 1961 and other sources, some with a questionable accuracy.” My doubt about this is because I’ve experienced a tendency among archaeologists to base their conclusions on Darwinist thinking – not that Darwin himself probably ever thought it, but it is a sort of meme they get infected with, a sort of ‘we’ve never had it so good…never so evolved, never so fit, never so strong…” when just looking around us with a clear eye would bring us to another conclusion. On the contrary, some recent work has come to the view that hunter gatherers, generally speaking, had more leisure time than us, and they were probably a lot healthier with an organic diet. It’s also my experience that the databank of skeletons and fossils upon which palaeontologists base their conclusions about early man falls far short from what staticians today would call a ‘significant sample’. So I think there’s a far amount of guesswork that goes on, based on Occam’s Razor, which can be a very blunt instrument in the wrong hands. I have analysed Thom’s stone circle size data and confirm the common factor of 2.718 feet. There are also strong communalities (I use a method devised by Russian Astronomer Kotov) with figures which are a little under (say 1%) a number of imperial units including chain furlong etc. In fact the 2.718 foot unit is 1/24 of the almost a chain one whereas the modern yard is 1/22 of the chain. It is my opinion that these are all natural units, not man made. I say this because I have found the same imperial units (actually 1% less as Thom’s values are) in totally natural phenomena. I have found fathom, yard, cubit, foot, span, hand, palm and inch. The finding that 18.618 x 19.618 = 365.248 is fascinating. However the period of the lunar cycles is changing over time, so the connection cannot remain true over millions of years. For example the period was 18.294 just 1 million years ago and 18.000 just 2 million years ago. The number of days in the year is also changing but I don’t have details of that. Therefore it not clear if this is a fascinating coincidence for the present day. Another point: the square root of 385 Draconic years is 365.3063~ years, i.e. almost the same as 18.618 x 19.618y. 385 DY is also exactly 4519 synodic months and 4903 draconic months (4903 – 4519 = 385). I found this article interesting…. Hope you do too….